The junction near Penny Street, Lancaster. Picture by Google Street View Images. A boy was taken to hospital after a collision on Penny Street this morning (January 26). 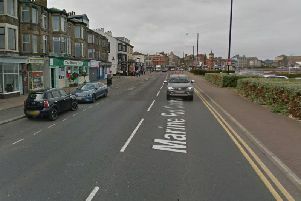 Police were called to an incident at around 8.38am on Friday outside the Toll House Inn after reports of a collision involving a car and a pedestrian. North West Ambulance arrived at the scene at around 8.21am. The incident involved a silver KIA cee’d and a boy who suffered minor injuries. The boy was taken to hospital by relatives later.